Newsies the Musical? I will fly to New Jersey just to see this show! I'm completely boggled that they keep talking about it being a flop. Everyone I knew loved this movie musical so hard, and it shaped my middle school glee club years. 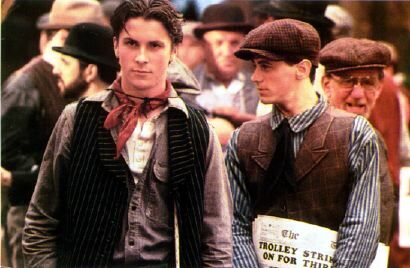 And boy did I have a crush on Christian Bale back then.